Mercy Corps returns to the festival to discuss how they partner with coffee farmers, helping them to build more sustainable livelihoods. This year Mercy Corps will be talking specifically about a project to strengthen the autonomy and economic empowerment of 1,800 rural female coffee farmers in Southern Cauca, Colombia. 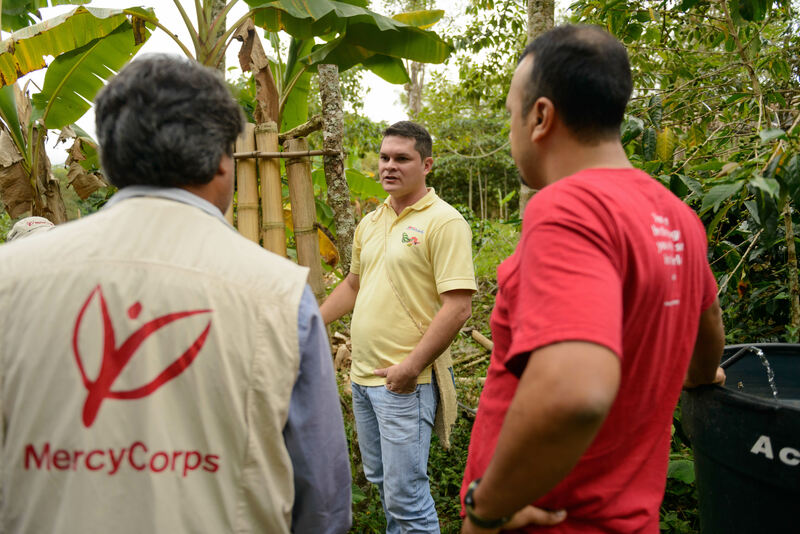 On small farms in Tolima, Colombia, coffee farmers are learning about better ways to grow coffee while tackling poverty in their communities thanks to a project called ‘My Sustainable Coffee Farm’ run by my organisation, Mercy Corps. This talk will take place in Room 1 at 10.30am. To find out more about their project visit our news page here.